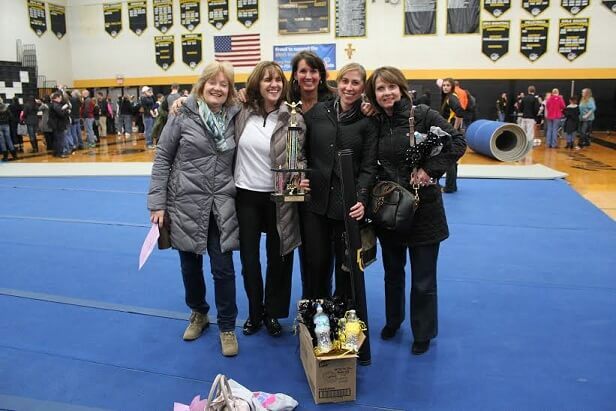 Proud mommas and Coach Burgess! 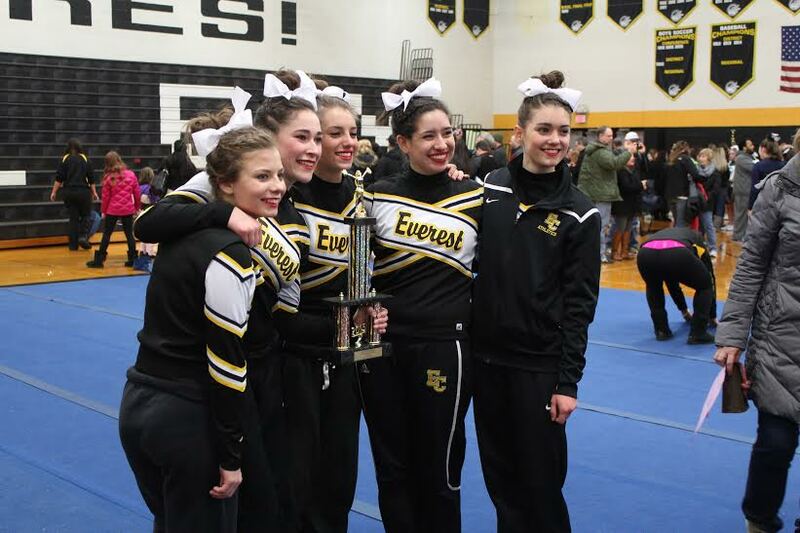 It was another great night for the Catholic League Champion EC competitive cheer team. They took first place overall at the Bishop Foley Invitational last night beating all teams by 30 points. This is the 3rd time this season this small team has taken 1st place, including the CLHS Championship. This weekend, they will compete at Brandon High School at 9:00 am on Saturday and their district meet is next Saturday, Feb 21, 2015, at Whitmore Lake High School at 4:30 pm, where they will try to extend their season to make it to regionals. They would love for you to come out and support them! → Support our Cheerleaders this Saturday!